This is another great game designed by Ed Teixiera for us. 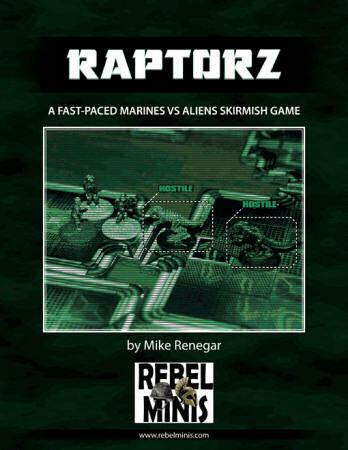 Using the award winning Chain Reaction System by Two Hour Wargames, the game allows players to hunt Raptorz in a fully modular corridor system. This is for a PDF of the rules and Space Base. Here you will find Corridors from 1x1 to 1x10, L-T-X Joints and several rooms from 3x3 to 8x5 all in a 20mm grid! There is also a room with a big entrance can be used as Hangar. If you own Shuffler from Paper Make It !, you can easily modify all the tiles and get a never ending variety in dimension and colors! You can see more tiles at :Paper Make It!